On May 16h, the GIST Cancer Research Fund presented a generous donation in the amount of $120,000 to the Heinrich-Corless Research Lab at the Annual GCRF Grant Presentation Breakfast at OHSU. This extraordinary gift is the result of the endless fundraising efforts of the GCRF and oustanding donations to their organization. a cure for this terrible disease. Dr. Heinrich and Dr. Corless accepting the extraordinary gift from The GIST Cancer Research Fund. 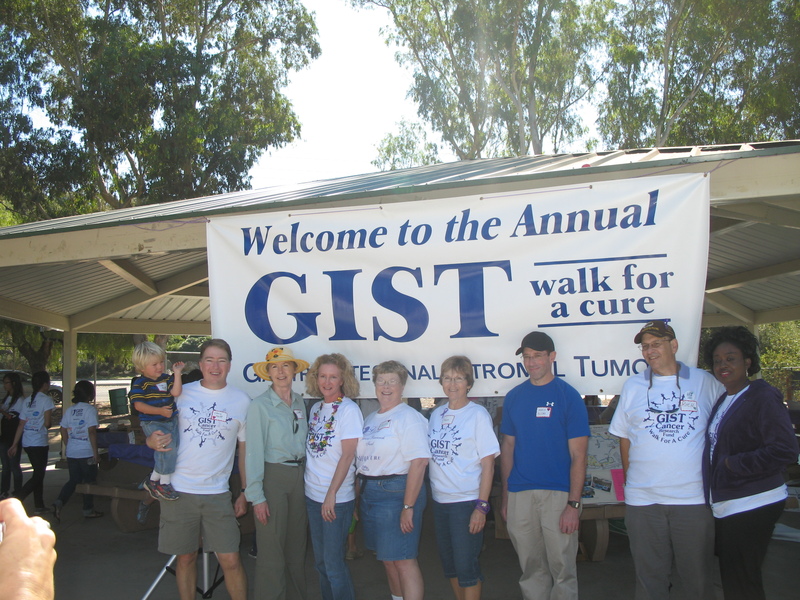 This is a bit overdue, but we wanted to recognize the awesome fundraising efforts of the GIST Cancer Research Fund, as Diana Griffith represented our lab for their annual Walk For A Cure in San Jose last fall. Without the generous support of GCRF donations from multiple fundraising Walks and other outstanding efforts, we would not be able to continue to research this horrible disease. Many thanks to Diana, who did an amazing job documenting the walk, supporting the cause, and speaking on behalf of the lab at this event. On June 7th, 2012, Baby Kaylie Mae McKinley was born. 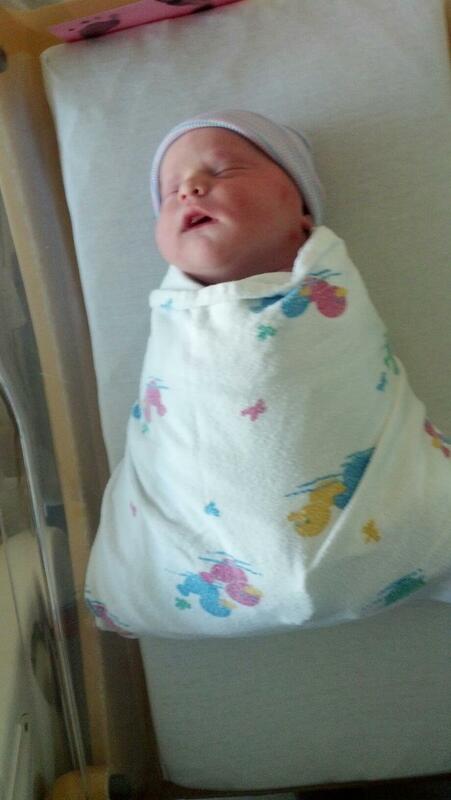 She weighed 10 lbs, 4 oz, and was 22 inches long. We are so excited to welcome her to the world! Congratulations, McKinleys! We would like to introduce our newest graduate student, Lilli Welch. Lilli is a graduate student in the Cancer Biology Program at OHSU and studies autophagy in GIST cells in the lab. We want to congratulate Lilli, as she recently won the prestigious, 3-year ARCS Foundation Scholar Award. Way to go, Lilli! This summer, we are grateful to have some additional help in the lab, thanks to our two, new summer students, Lauren Heinrich and Matt Sarver. Lauren and Matt are both seniors at Lake Oswego High School and plan to pursue undergraduate degrees in science or medicine. 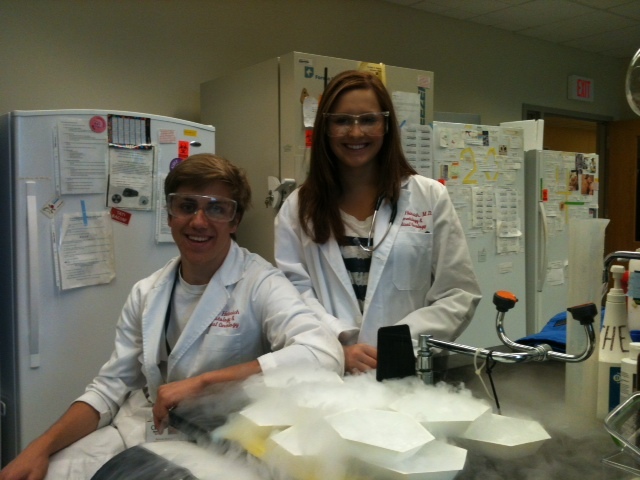 We thank you both for your enthusiastic help and look forward to sharing a summer of mad science fun! Welcome to the Heinrich-Corless Lab Blog! We are excited to introduce the new Heinrich-Corless Lab Blog, an extension of our lab website. This blog will provide an opportunity for us to frequently share more details about lab life, research projects, personnel, travel, lectures, meetings, publications, and other updates. There have been many changes recently, so let’s get started!